The Scorpion Lite 280 & 350 are two stand-outs if you're looking for a no-nonsense sewer jetter. Also known as hydro-jetting drain cleaners, these 2 models are ideally suited for conducting maintenance plumbing on drains approx 70mm-150mm. Drawing on 22hp from a genuine Honda Approved GX690 engine, they're a handy addition for any plumber looking for the ultimate drain cleaning machine. 3 year GX engine warranty. For full specs & optional accessories, see our brochure. *Shown with optional remote mini reel & Warthog nozzle. Honda GX690 electric start petrol V-Twin engine. - Higher horsepower, quieter and greater fuel efficiency. 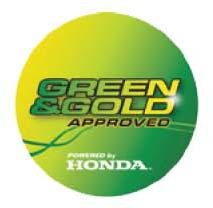 - Green & Gold approved and engine matched tested for Australian conditions and compliance laws. - Built-in hour meter and low level oil indicator light for easy service tracking. - Integrated low level oil cut-out protection system. Tough and robust fully welded hot dipped galvanised roll frame with stainless steel water tank. Easy to use unit designed for longevity, easier maintenance schedule, improved efficiency and increased operator safety. Quality industry proven ‘Italian’ pump and gearbox. supported by world-wide spare parts back-up. Solid brass adjustable unloader valve for increased safety, unit longevity and serviceability. Professional low pump running speed equating to 50% less maintenance time and increased reliability. engine crankshaft distortion and/or damage. hose with fittings and stainless steel snap coupling. Quality sewer jetter 7-piece nozzle kit including penetrator, reverse turbo spinning ‘root ranger’, flushing nozzle, 1 x spanner nozzle removal tool, root extension bar, nozzle blocking tool and carry box. 4060 - 5100 psi pump working pressure. 21 - 26 litres per minute water flow rate. Professional ‘Italian’ triplex ceramic piston plunger pump, complete with stainless steel valves and solid brass and/or nickel plated head with oil indication sight glass. 1450 rpm pump running speed via directly coupled 2:1 reduction gearbox with oil indication sight glass. Stainless steel supply and by-pass water tank for sewer jetter pump protection including quality Jobe float valve. 20 litre fuel suppy tank. Industrial strength fully welded and hot dipped galvanised frame with integrated hose reel mounting plate for added safety. Extra pump support via rubber foot mounts. Maintenance free battery with charge indicator and heavy duty looms. Heavy duty carbon steel high pressure block body ball valve with a quality extra long anodised red handle. Robust industrial high pressure hose reel with 60m (3/8”) capacity featuring multi locking points for easy length selection to increase operator safety when using the sewer jetter. Brass ‘Y’ stainless steel water inlet strainer. 14” heavy duty pneumatic wheels for easy mobility. Durable stainless steel pressure gauge with Glycerine. pressure nozzle with general washdown lance. Complete sewer jetter operator and maintenance manuals. * FEATURE PRESENT ONLY ON MODEL SCORPION LITE 280. ** FEATURE PRESENT ONLY ON MODEL SCORPION LITE 350. Complete ‘Turbo’ Head with Stainless Steel Lance. Original USA made Spinning Warthog Nozzle. 20m of 3/16” Piranha Thermo Plastic Whip Hose. Low Level Water Engine Cut Out for Pump Protection. Click below to check out our range of Jetwave Pressure Cleaners!